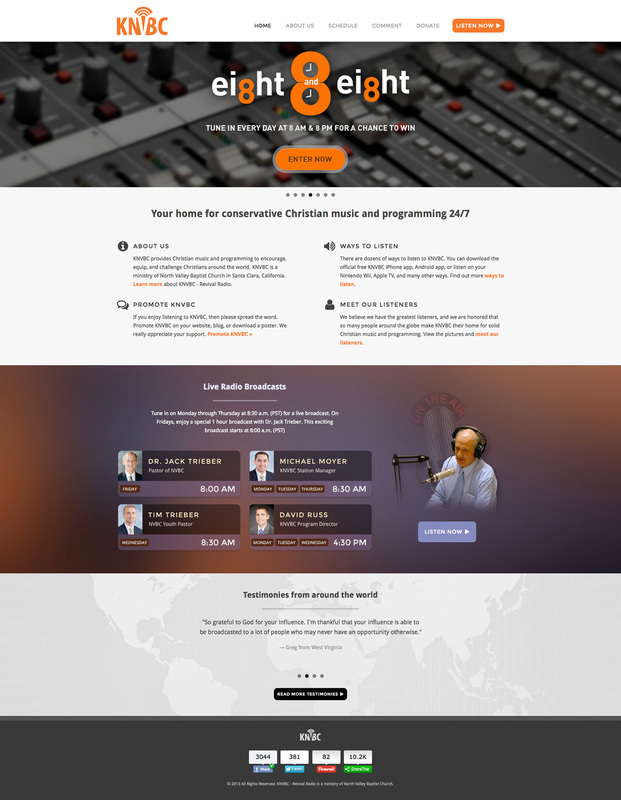 KNVBC - Revival Radio is a Christian, online radio station. Their old site was outdated and slow. I completely redesigned the website to be responsive, as many people view it from a mobile device. The result is a much cleaner website, while remaining functional and easy to update.